No one can argue the importance of brakes on your car, especially good brakes. I don’t need to go into detail regarding the ‘why’. We all know why. They save lives. Period. So, given their importance why do we always makes such a stink when our brake repair shops tell us it’s time to replace them? Well, a couple of reasons pop into mind. First, everyone is skeptical of their car mechanic. If you’re one of the lucky ones who has a trusted, solid mechanic you’ve been visiting for years, or even decades in some cases, then you may have a more trusting relationship than most people do. Given today’s climate of transients and moving about, people are less likely to have that one trusted mechanic so its quite normal to feel skeptical when a stranger tells us we need to fork over hundreds of dollars to them to fix our brakes. Is this fair? Not really. After all, we don’t have to trust them, but if we’ve already had some doubts of our own, we’ve heard that scraping sound that sends chrills down your back, then you should probably heed the professional advice. Another reason is cost. Brakes are expensive to fix and who ever has money saved for this precise occasion? Right. Which is why it stings all the more. Really though, if they were cheap, how safe would we really feel? The last reason is, maybe even just for me, we know it has to be done, eventually. It’s a given, if you own a car you will at some point have to spend time and money maintaining, if not fixing it. Below are a some tips you can do to avoid spending so much money on your brakes. Not all will work everytime, but if you keep the ideas running through your head, you’ll be more alert to better decisions which will, in the long run, save you money. First and foremost, when you buy a car, learn about it. It doesn’t matter if it is used or brand new. If you paid money for it or are expected to fix it, it is an investment and should be treated as one. The only way you can be sure to not be taken as a fool or be duped by a mechanic is by being knowledgeable. If you have all the information necessary and you know what you’re talking about, no one can fool you. Any mechanic or technician who can see you know what you’re talking about is less likely to pull a fast one on you. Being prepared with as much knowledge as you can get is a smart idea for every aspect in life, not just car repair. It’s applicable here because it saves us money and we like that. One reason it is so important to know your car is because you will know when your brakes just need repairing rather than replacing. One isn’t a huge cost. The other is. If you can tell that your brakes simply need repairing or that your callipers need to be rebuilt, there are much less expensive options available to you. Obviously, if you know how to change the brakes in your car yourself, then you probably aren’t reading this article. If you feel like you could, but want some assistance, you should absolutely take this route. Call a trusted friend or family member who knows what they’re doing and ask if they can help you. Maybe even look into local mechanic schools or automotive classes that are being taught to sit in on a class or two. Again, having more knowledge about your vehicle will only further help you. Speaking of local trade school or classes, there are often vocational or trade schools that teach automotive mechanics and are in need of cars with problems to teach their students. If you have some near you, call and see if they would be willing to accept yours. In most situations, these classes will change your brakes either for free or at a large discount. Some people may have strong thoughts about novices working on your car, but there is always a professional, at least, present to do the teaching. And besides, when these guys graduate, guess where their first job is? If your vehicle is already at the shop, make sure you emphasize that nothing may be done differently or extra without your say so, or sign-off. This way when you go to pick up your vehicle there can be no ‘extra’ or ‘hidden’ costs that you weren’t aware of because they should have contacted you before doing anything extra. Sometimes small auto body repair shops will go ahead and fix that ‘extra part’ and charge your and do it under the guise of looking out for you. While that can be a super nice gesture, unless you have a previous agreement with the mechanic, they should know that any extra work needs to be okayed by the owner. Definitely shop around. If you’re already aware that your brakes need fixing, replacing, etc, call different auto body shops, go online and see who’s offering the best deals. Often times auto body shops have deals online, or in the paper. Check them out! Also, don’t feel locked down to one place. If you feel like you just needed a repair rather than an entire replacement and that’s not what they’re telling you, get a second opinion. You are always free to do that and let them know you are going to do that. Most places won’t want to lose a customer. I know it sounds silly and obvious, but it bears repeating. 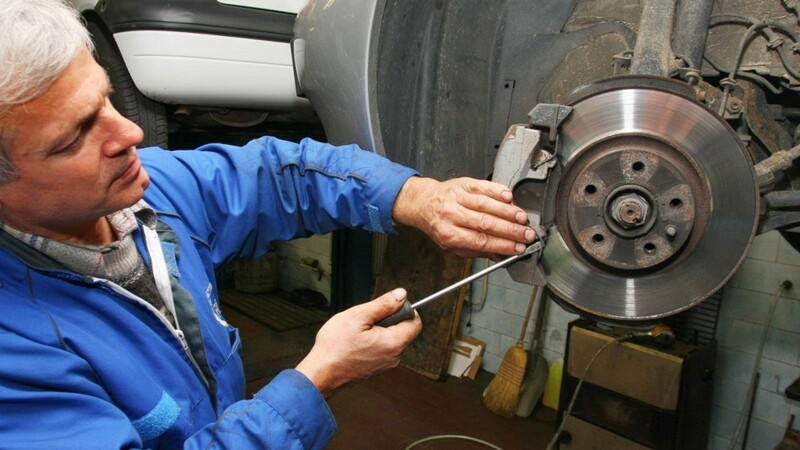 If you stay on top of regular maintenance for your car, you will have seen a brake job coming. Checking all your fluids, keeping on top of your tires, keeping track of how long it’s been since your last brake repair or replacement. Like your body all the parts of your car are connected so all deserve equal attention. Also, you will inevitably know the condition of your brakes if you start to hear noises or feel a difference in pressure as you press on the brake pedal. Any change in sound or pressure is an immediate clue into checking that situation out. This is part of preventative care. Sometimes quality parts are more expensive, it’s true, but would you buy ‘value’ brake pads? Probably not. Sure, we all love value, but that is usually another word for ‘inexpensive’ or ‘cheap’. It is brakes we’re talking about. Will you really feel good about putting ‘value’ brake pads on your car and driving your family around just so you could save some money? I promise you, in this case you want quality over value. Lastly, really how many people consider that brakes need changing because of the you drive? Honestly, probably everyone who’s ridden in the car with you, but what do they know? 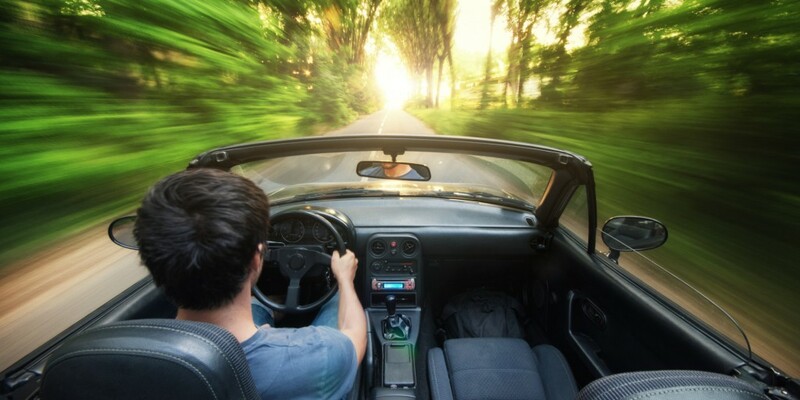 Most often, changing your driving habits will greatly increase the length of time between mechanical visits. Basically, stop driving like a jerk. Do the speed limit and you won’t have to ride your brakes which means less money spent fixing them.